You'd probably bet Tucson would have some fine, original examples of the roadside diner genre. You'd be wrong. They're all long gone. Whatever fleeting food service outlets may have existed in Tucson during US 89's early decades disappeared for several reasons. First and foremost is economic reality. Prime Time Tucson real estate along any heavily traveled arterial is very valuable property....far more valuable than any mom and pop diner could afford. If there were indeed any iconic diners along the Stone-Drachman-Oracle Corridor that was US 89, those diners were long ago bought out and bulldozed to make room for something newer, bigger, better and pricier. Secondly, Tucson's early culture didn't favor roadside diners. Tucson is Arizona's oldest non-Native community by perhaps one or two hundred years. 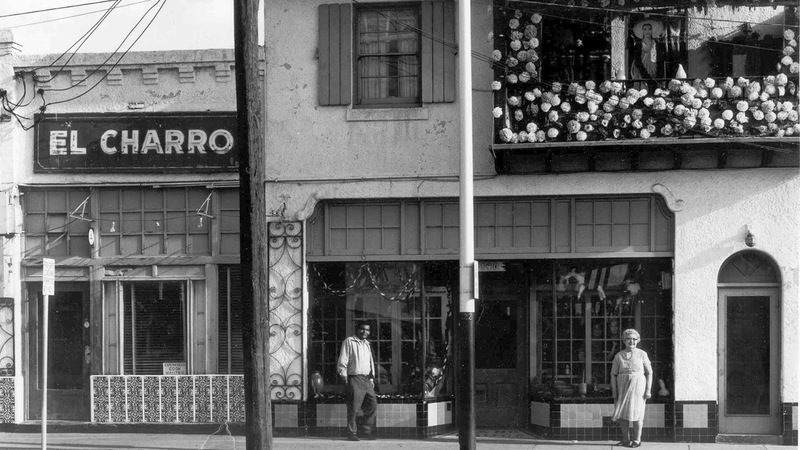 By the time US 89 rolled around in the late 1920's, Tucson's culinary paradigms were well established and set in Stone (pun intended). Most, if not all, of those cultural culinary channels remain intact today in one form or another. Lastly, Tucson also arguably had more fine dining places to eat than anywhere else along US 89. Over 100 guest (dude) ranches and other enterprises catered to seasonal visitors. 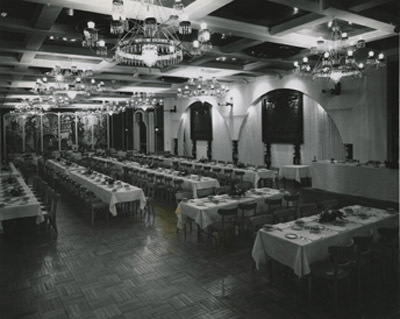 The 1929 opening of Stone Avenue's famous Pioneer Hotel provided one of the highest class dining establishments to grace the roadside of early US 89. Pioneer Hotel ballroom in 1929. Tucson now certainly has no lack of restaurants and yesteryear's popcorn vendor has become today's taco truck. Small cafes continue to be a thriving part of Tucson's culinary scene. Meanwhile, fine dining in Tucson is some of the finest in the entire state. Furthermore, fast food franchises dominate the busy intersections. 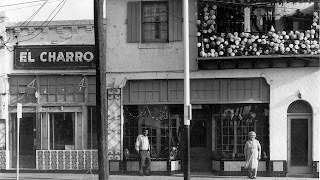 Tucson's oldest remaining restaurant, the original 1922 Court Ave. El Charro, is now nationally famous and serves as a shining example of the Family restaurants that were once common throughout the Old Pueblo.